Coral PlantEvergreen vine. Frost tender, needs winter protection in cold climates. Leathery, hearth-..
CrossvineDeciduous vine. Vigorous, woody vine with attractive clusters of 2'' long orange-red, fragr.. 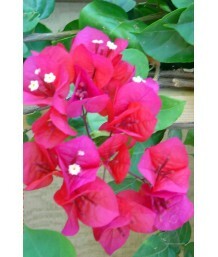 Hot Pink Red BougainvilleaEvergreen vine in mild climates. Not for zone 14. Vigorous 'Barbara Karst'.. Deep Gold BougainvilleaEvergreen vine in mild climates. Not for zone 14. Strong vining habit for qui..
White BougainvilleaEvergreen vine in mild climates. Not for zone 14. Strong vining habit for quick c.. Bright Red BougainvilleaEvergreen vine in mild climates. Not for zone 14. Strong vining habit for qu.. Bronze Orange BougainvilleaEvergreen vine in mild climates. Not for zone 14. Strong vining habit for..
Purple BougainvilleaEvergreen vine in mild climates. Not for zone 14. Strong vining habit for quick ..
Raspberry Ice BougainvilleaEvergreen vine in mild climates. Not for zone 14. Small thorns. Green lea.. Pink Gold BougainvilleaEvergreen vine in mild climates. Not for zone 14. Strong vining habit for qui.. Pink Gold BougainvilleaEvergreen vine in mild climates. This specimen retains the plant's natural, b.. Deep Red BougainvilleaEvergreen vine in mild climates. Already trained to grow on a trellis. 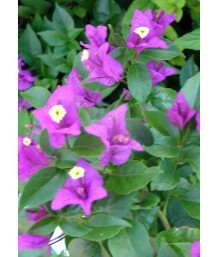 Not for..
Purple BougainvilleaEvergreen vine in mild climates. Not for zone 14.. Dark green foliage with showy..
Red BouganvilleaEvergreen vine in mild climates. Not for zone 14. Dwarf variety with rounded compact..
Butterfly BushSemi-evergreen shrub. Fast growth, round airy form. Red purple flowers mid-summer to f..